Replay XD1080 Mini Camera System « Big Squid RC – RC Car and Truck News, Reviews, Videos, and More! 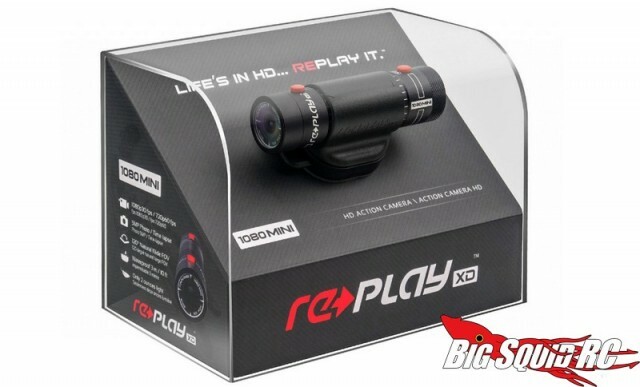 RePlay has announced a new Action Camera to capture all those crazy bashing antics of yours, the XD1080 Mini. The 1080 Mini comes in the ultra small XD720 chassis (24 x 85mm), yet can record in full 1080p at 30 frames per second. When recording in 720 it can do 60 frames per second and it comes with 3 different mounting bases, making it easy to install in your rig. The part number is #RP004, it hits the streets at $199, and they are available right now. For more information simply Click This Link over on the official Associated website. Want to see other on-board cameras? Check out This Link on BigSquidRC.